43.7% of Nottingham households don’t have access to a car or van – yet so many live on streets blighted by too much motor traffic (Nottingham City Census 2011). Building a safe, joined-up cycle network has been proven (in cities in the UK and around the world) to dramatically increase the number and variety of people cycling for everyday journeys. Although small improvements are welcome, we campaign for safe, enjoyable routes which actively enable people to cycle, rather than simply encouraging individuals to choose cycling. 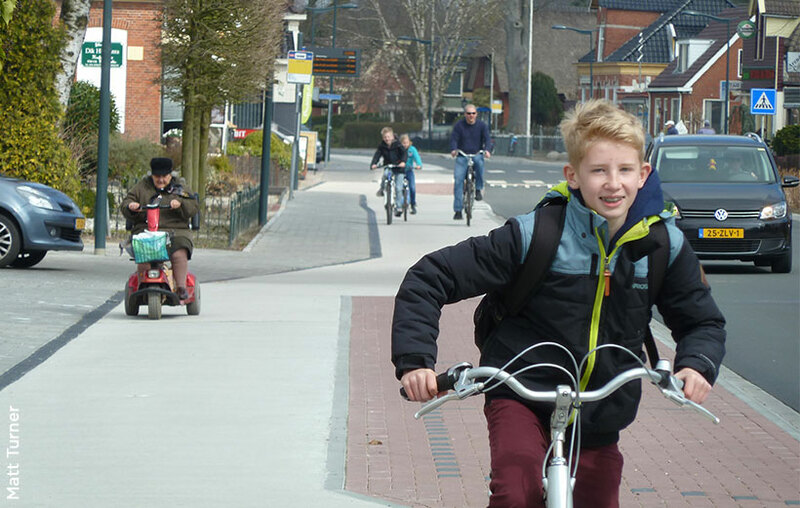 We look to countries and cities with high levels of cycling for inspiration. We want to enable more people to make more of their journeys (especially short journeys) by cycling. Take a look at this wonderful video about the freedom that comes with a cycling city.